what’s new in the field of sustainable textiles? Four times a year, the Texpertise Network Newsletter reports on all the current topics, backgrounds, dates and products relating to the theme of “Sustainability & Textiles”. With 40 events, Texpertise is the world's largest network of experts for trade fairs in the textiles and clothing segment. The topic of sustainability is becoming increasingly important as the market for environmentally and socially compatible textiles continues to grow. Be sure to be informed! Organic cotton production has decreased drastically, and uncertainty is widespread in the market. How could this have happened? And what does it mean for the future of the eco-fashion market? Jana Kern examines the underlying issues. A trend reversal has taken place. 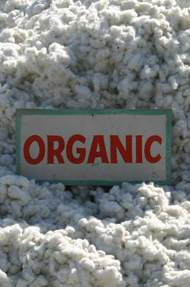 Organic cotton production has slumped by 37% according to the current Farm & Fiber Report from Textile Exchange. This means a completely new situation for an eco-fashion market still in its infancy, especially considering the double-digit rates of growth witnessed in past years. The reasons are complex. Jana Kern gives an overview of current developments and analyses the predictions of various experts. 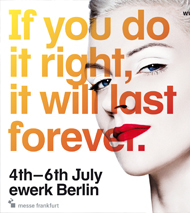 The Ethical Fashion Show Berlin and the GREENshowroom (4 to 6 July 2012) feature an impressive programme for the coming Berlin Fashion Week. The green fashion fair scene is pooling its resources to improve how it is perceived by the general public during the Berlin Fashion Week from 4 to 6 July 2012. GREENshowroom and Ethical Fashion Show Berlin will present cutting-edge international eco-fashion labels in addition to launching a pop-up shop. The Knowledge Lounge, the “Change your Cotton” conference, the Create Green breakfast and the salon show round off the three days. Eco-interior design and eco-fashion are the focus at Interior Lifestyle in Tokyo. Sustainability is also playing an increasingly important role at design fairs in Japan. 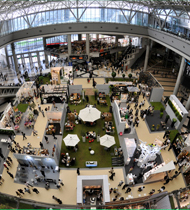 Eco-interior design and eco-fashion are more and more the focus at the Interior Lifestyle international flagship fair to be held from 6 to 8 June 2012 in Tokyo. Sustainability was one of the key topics at the Texcare International flagship fair - Sustainable Day lectures available for download. The Texcare International flagship event was dedicated to sustainability in the form of energy and resource efficiency. Top-calibre speakers explored various ways of integrating ecological and social aspects into textile services and care in order to conserve energy and enhance efficiency. The talks are now available for download. 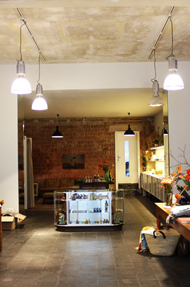 Alexander Clauss and Peter Heckmann proudly present a new 100-square-metre eco-fashion concept store. The name Soulid is a combination of “soul” and “solid”, two words which describe the philosophy of the new eco-fashion store launched by Alexander Clauss and Peter Heckmann in Darmstadt. The store opened in late March with brands such as Portocolonia, The Baand, Propheten, Koi and Knowledge Cotton Apparel. Two German textile designers knot, weave and tie used textiles into home accessories. Recycling, handiwork, design and innovation interwoven. Woven cane reinterpreted: For their textile pieces, textile designers Lisa Spengler and Moa Hallgren have looked back to the traditional art of woven cane (“Vienna weave”) that has been used in furniture manufacturing since the mid-nineteenth century, especially for seats and armrests. The two designers weave used fabric of different colours. One-of-a-kind pieces are born sustainably. The Sustainable Textiles Conference from 4 to 5 October 2012 in Hong Kong is an obligatory event for top industry decision-makers. The Sustainable Textiles Conference in Hong Kong from 4 to 5 October 2012 will bring together CSR experts to discuss the challenges of sustainable concepts in the areas of raw material cultivation, textiles production and finishing. The two-day meeting takes place in the Hong Kong Exhibition and Convention Center and is being jointly organised by Ecotextile News, Textile Exchange and Messe Frankfurt. 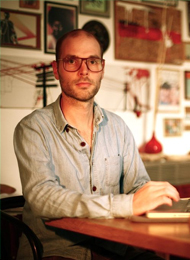 Interview with Noel Klein-Reesink, founder of eco-sneaker label ekn footwear. Texpertise Network talks to an eco-fashion insider about current market developments. How hard is it to launch a new label? What stores in particular are setting trends at the moment? And what potential does the market hold? Interview with Noel Klein-Reesink from ekn footwear. Mr. Klein-Reesink, you had the idea for a long time, and now you have successfully launched your own label, ekn footwear. How are things going? The time and energy we invested in developing ekn footwear have paid off. Plus we’re having a lot of fun. The results so far are better than the best-case scenario we anticipated before the launch. Recommended reading: “An Insider’s Guide to Cotton & Sustainability” by Simon Ferrigno and “Good Jeans Guide” from Netzwerk Faire Mode. 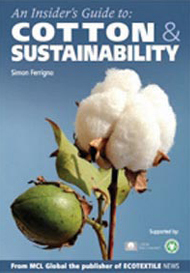 Two highly recommendable books have appeared in the past few weeks: In “An Insider’s Guide to Cotton & Sustainability”, Simon Ferrigno describes the various systems and standards in sustainable cotton cultivation. And Netzwerk Faire Mode has responded to the German documentary “Der Preis der Blue Jeans” (The Price of Blue Jeans) by publishing the “Good Jeans Guide”.